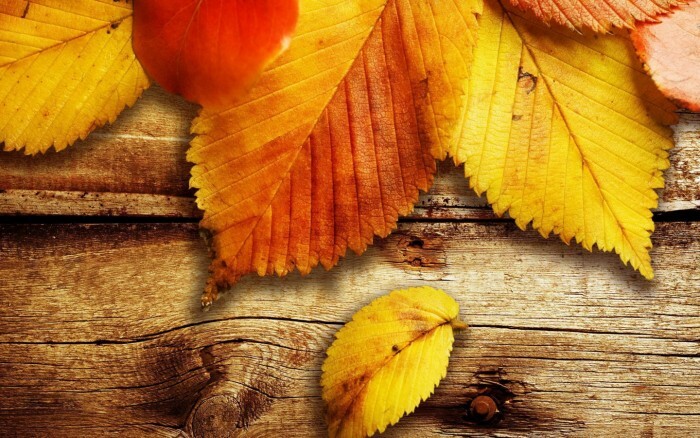 Autumn Harvest 3 Day Sale! We are proud to announce our Autmun Harvest Annual 3 Day Sales Event, We are offering $5.00 off all stars when using the coupon code “Corncob” at point of purchase. Thanks for shopping! We are glad that you found the site. You can shop by using the navigation at the top of this page or by continuing down this page. Please let us know if you have any questions or need help registering as a wholesaler. 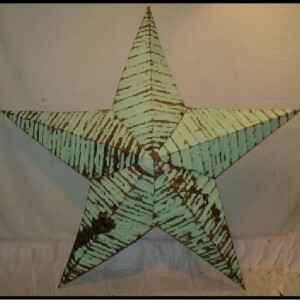 Welcome to AmishStars.com We offer a large selection of handcrafted, three dimensional, five point Amish tin stars. 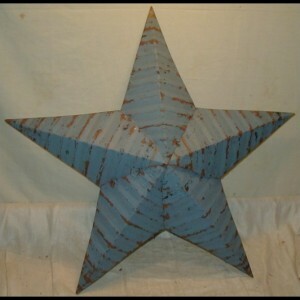 These barn stars are hand pressed by Amish farmers, out of old salvaged tin from roofs from barns and out-buildings. 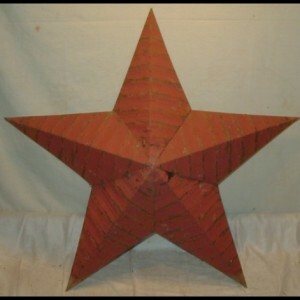 The tin is corrugated which gives the stars character. They have a primitive and rustic look, with old paint, wear, and some rusting. Because the stars are made by hand and from old materials, each will have variations in shading, peeling, small nail holes and wear then the ones shown. The stars are also non-returnable for these reasons. 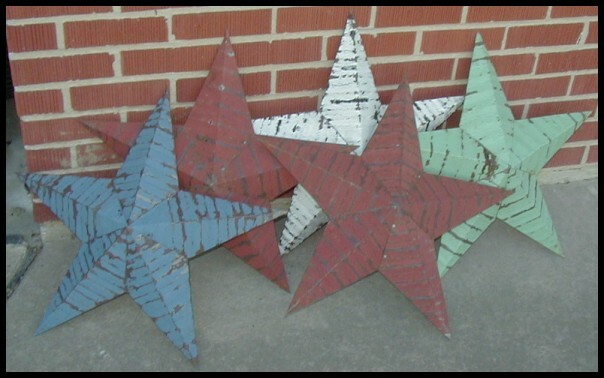 Stars are available in black, blue, dark green, sea moss green, mustard, barn red, rust and white. 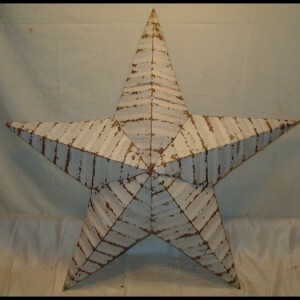 Start Shopping for Amish Tin Barn Stars Now! Dealer wholesale inquiries invited and welcome. Please click here to fill out dealer information form.